A constant commitment to improving patient care, an increased ability to attract top medical talent and bringing the latest treatments to the local area are the cornerstones of newly created Nuvance Health. 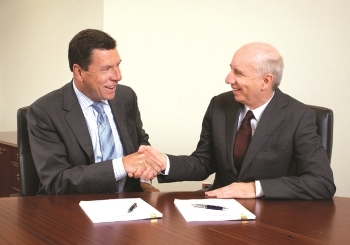 Thirteen months after formally agreeing to create a new health system, Health Quest and WCHN (Western Connecticut Health Network) have begun to operate as one organization after receiving the required federal and state (New York and Connecticut) regulatory approvals and support from patients, donors, and business and community leaders. The announcement was made on Wednesday, April 3. Wherever you live in Dutchess County, we cover school news, health and education features, seniors news, arts and entertainment activities, community calendar of events, municipal news, local business and organization profiles and press releases, legal notices and obituaries as well as local advertising. Check out our special advertising offers including at our Media Kits page: Dutchess County Fair Supplements, Chef's Profile, Car of the Week.